Apple Snow Beat-white of one egg stiff. Peel and grate 3 apples (or 4 or 5 smaller ones.) 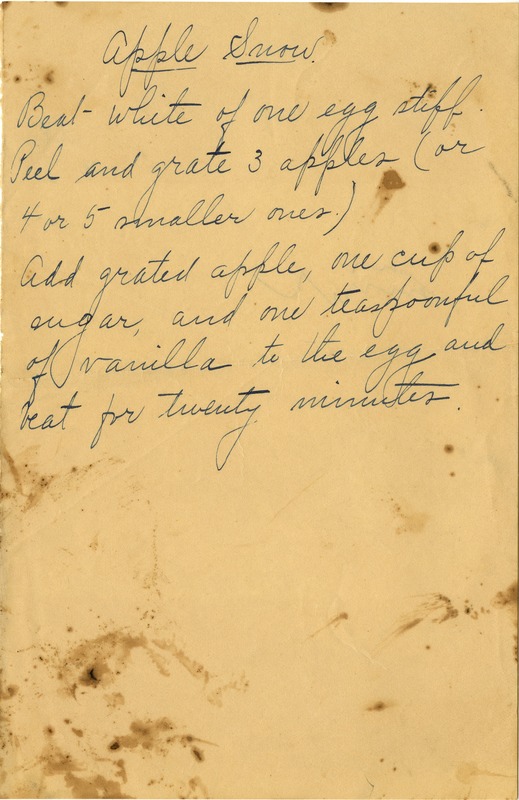 Add grated apple, one cup of sugar, and one teaspoonful of vanilla to the egg and beat for twenty minutes.